Respect of compensate appointment on Level-1 and Level-2 jobs. Medical Identity Card Numbering and colour Scheme ≥neration of uniform medical I-Card. 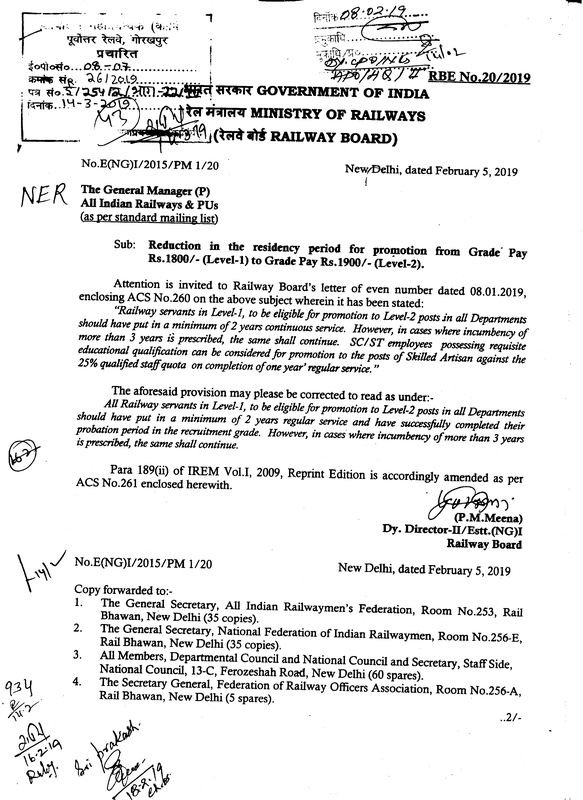 Introduction of Provisions for writing of APAR of Railway Employees. Review and development of training Modules/Training period of merged cadres(after implementation 7thCPC) for traffic (Transportation) Department.